The highest-performing pool heaters in the industry! 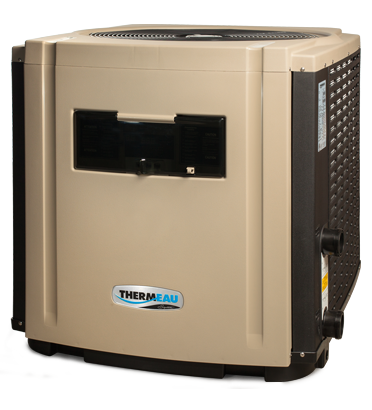 THERMEAU is a leading manufacturer of high-performance, reliable and energy-efficient commercial and residential pool heating systems. With 15 years of industry research and development plus hands-on experience in the field, THERMEAU is a leader in commercial pool heating technology. 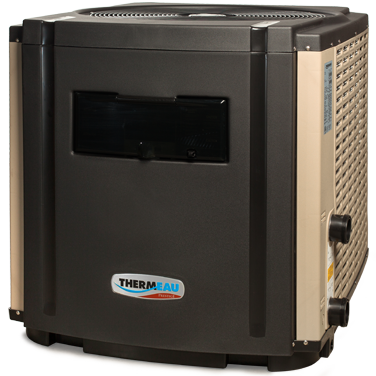 Unequalled energy efficiency - Compare what it takes to produce 100,000 BTU of warmth with a conventional gas, oil, or electric pool heater, and you’ll see that THERMEAU heat pumps use 5 to 6 times less energy. Three levels of soundproofing insulation - They’re the quietest in their category, and require virtually no upkeep. The remarkably precise temperature controls on THERMEAU pool heaters mean that users can enjoy ideal water conditions regardless of the time of day or weather conditions. Highest precision in electronic temperature control - The electronic control board allows you to adjust the water temperature in your swimming pool with great precision. 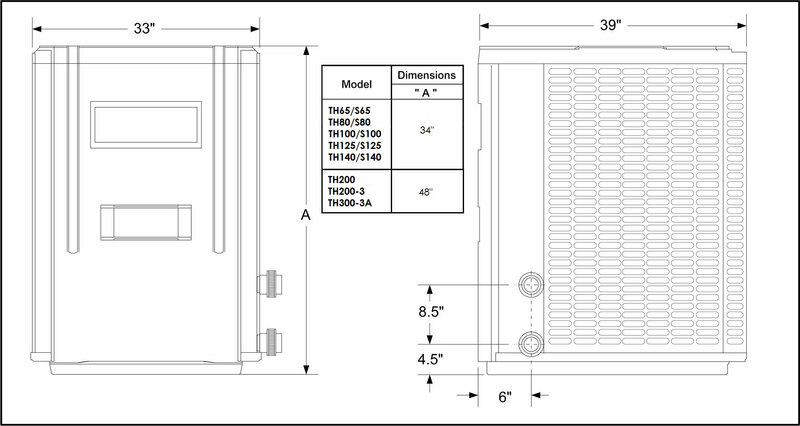 Quick and easy installation - From installation and use throughout the summer to winterization, many characteristics of our pool heaters bear witness to Thermeau know-how when it comes to design. Efficient and minimal maintenance - THERMEAU products boast the industry’s best electrical and mechanical components, helping to lower energy consumption and reduce operating costs. And the many features found on our pool heaters put THERMEAU in a class all its own, exceeding established standards. Ultra high-performance components - Developed by technicians who know the mechanics of their trade inside and out, each component has been carefully designed to simplify its maintenance and use, from electric connections to plumbing parts, avoiding any unnecessary steps. Outstanding reliability and durability in all types of weather conditions and environments - The remarkably precise temperature controls on THERMEAU pool heaters mean that users can enjoy ideal water conditions regardless of the time of day or weather conditions.